It seems that with every passing week the topic of raising Ontario’s electricity rates is written in the local news and discussed in coffee shop conversations around the province. And for whatever reason, many people seem to blame renewable energy for those raising electricity rates. But let’s look at the facts. In a recent Ontario-based study, electricity from solar technology was responsible for only 5 percent of the average residential electricity bill in 2016. The study determined that the single largest share of the average residential electricity bill came for delivery charges (i.e. the transmission and distribution power lines that move electricity generated in one location to your home) while nuclear, HST, and natural gas make up the next largest components. Stay in the know with CanSIA E-News! So why do renewables get all the bad press? Critics take great delight in pinning the totality of rising rates of electricity on renewables because solar and wind are the new kids on the block, but as you can see from the facts, it’s simply not true. 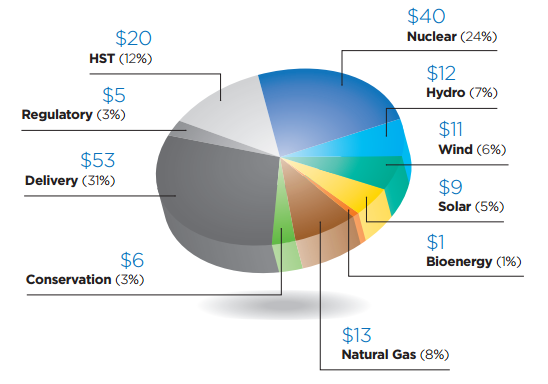 What is true, is that Ontario’s electricity rates have increased since 2008. However, there are many other factors that contribute to raising electricity rates including natural gas and nuclear contracts/refurbishments, transmission and distribution system upgrades and expansion, and energy conservation programs. Now, while we all love to complain about raising electricity rates let’s keep things in perspective. Other studies completed by both the Ontario Financial Accountability Office and Hydro Quebec have shown that Ontario’s residential rates rank in the middle of the pack when compared against other major urban North American jurisdictions. So, while we would like to have lower electricity rates, rates have risen in order to upgrade an aging, dirty electricity system, and are comparable to other similar sized jurisdictions. It's time to get the facts straight on renewable energy in Ontario with Renewable Energy Alliance of Ontario (REAO)'s Myths vs. Facts. 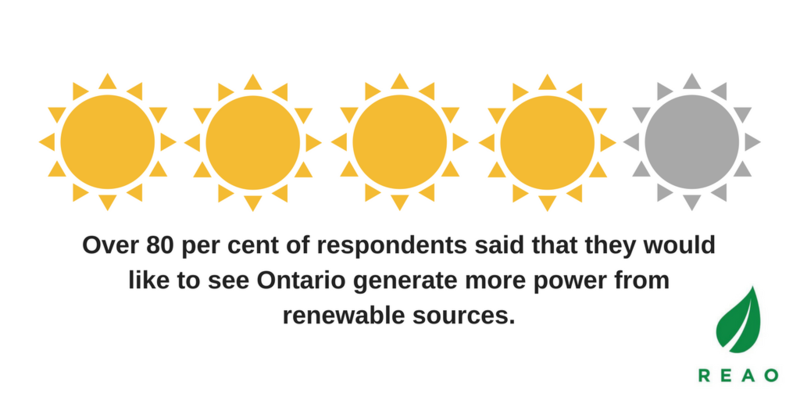 You can support renewable energy in Ontario by joining REAO in telling the Ontario Government that it’s time to renew its plan for renewable energy at RenewOurFuture.ca. Net metering is a billing mechanism that pays solar energy system owners for the electricity they add to the grid. In its simplest form, a net metering customer will generate their own solar electricity during the day, use what it needs to meet the requirements of the home (or other type of building), injects the rest into the electricity grid, and consumes from the grid when the solar is unavailable. The customer is then only billed for their net electricity use. If they generate more than they use in a month, they receive a credit to apply against next month’s bill. If the solar system generates less than the customer uses, they will see a charge on their bill. If you would like to learn more about net metering and installing solar on home, business, school, farm or community facility, please contact a solar company listed in our industry directory. Depending on your local utility, net metering programs may vary slightly, however, CanSIA continues to work with utilities and the government to make going solar simple and easy. To learn more about CanSIA’s net metering advocacy efforts you can view our latest regulatory and policy submissions. NOTE: Until Dec. 31, 2017, a home or building owner can also install solar through the Ontario MicroFIT or FIT program. This program is different than a net metering program but still allows you to put solar on your home and connect to the grid. Please contact one of CanSIA members for more information or click on the Ontario Independent Electricity System Operator (IESO) website to find out more.